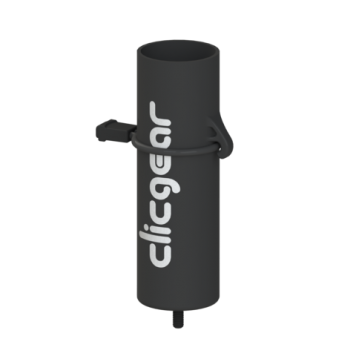 The Clicgear® Umbrella Holder as supplied with your Clicgear cart. The Standard Clicgear Umbrella Holder allows for the use of a golf umbrella while using your Clicgear. This accessory can be used to replace the standard umbrella holder supplied with your Clicgear cart.